Everybody loves beaches. What if you can spend a weekend or two in your very own beach villa? 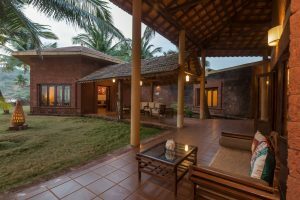 SaffronStays presents to you a list of beach front villas in the heart of Konkan area. 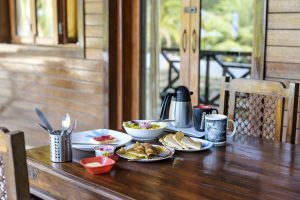 Sip on coconut water, have long walks along the beaches and take your taste buds for a spin ravishing the local cuisine. 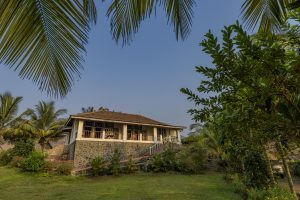 With two cozy cottages and a secluded private beach, SaffronStays Little Paradise is truly a paradise. 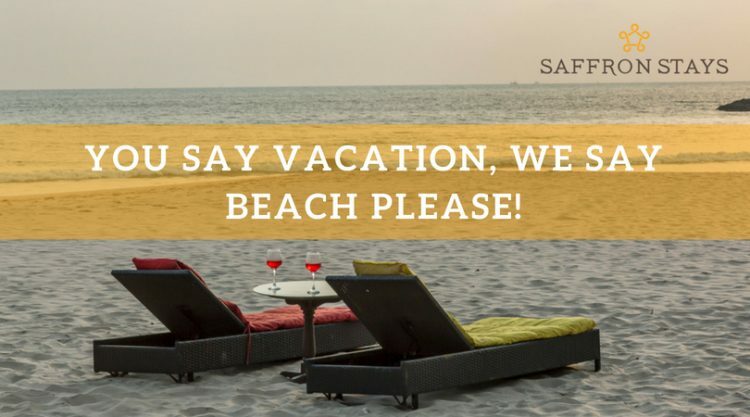 It is the proud winner of SaffronStays Select Awards for the Most Memorable With a Beach View category. 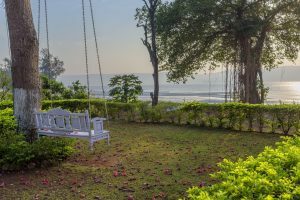 Located in Agardanda (10 Kms from Murud), this beach villa is a tranquil space for city dwellers to relax. 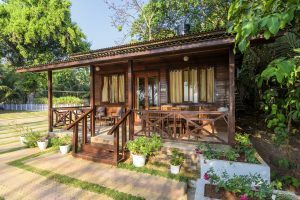 Moreover, the two cottages in the home are constructed in a minimalist style using logs, giving it the beach cabin feel. 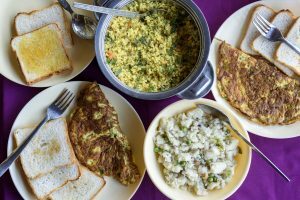 Guests can savour delicious home cooked Maharashtrian meals. 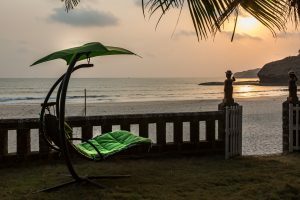 The view is the best during Monsoons and the newly set up porch swing only adds to its charm. 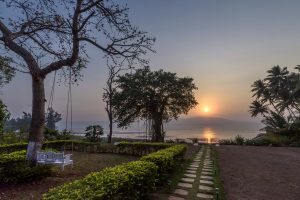 INR 7375 for 2 guests. Send a mail to [email protected] or call on (+91) 8424 040 040. 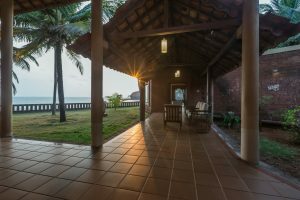 SaffronStays Salt Rim, Korlai boasts of a stunning view of the Arabian Sea. 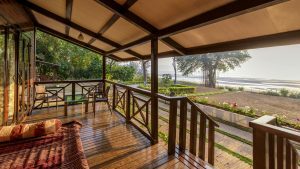 Perched atop a virtually private beach with no inhabitation for half a kilometer on either side results in it being the perfect getaway. The soft sounds of waves crashing against the rocks keep you constant company. 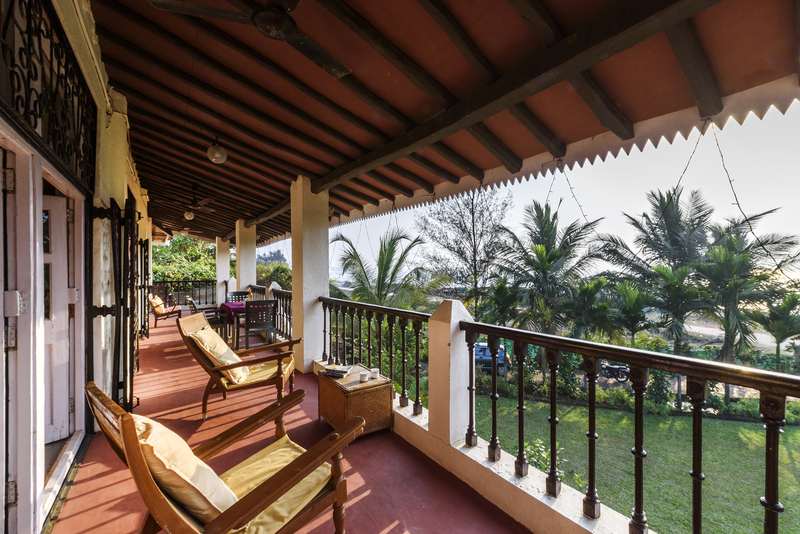 With its Goan and Portuguese architectural style, this 2 bedroom villa has a certain charm to it. Guests can have a picnic out on the lawn. In addition to it they can also take a moonlit walk on the pristine sands next to the beach villa. 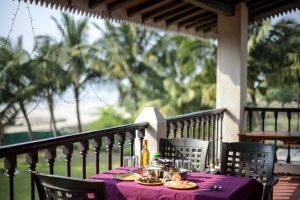 INR 17,582 for 4 guests. Located in Velneshwar, the starting point of the Konkan belt, SaffronStays Chirebandi is your getaway retreat. 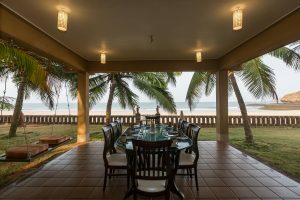 Surrounded by coconut trees, this beachfront villa is your dream house. 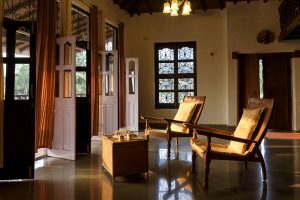 the special feature of the house is that it is made of ‘Chira’, a locally sourced stones that maintains the temperature inside the house. 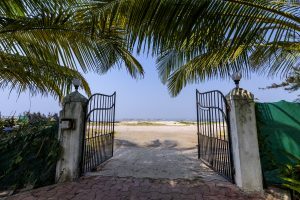 The beach is a step away from the home and guests can go roaming the area. This home is your ultimate beach destination. 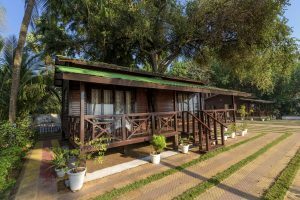 INR 21,240 for 6 guests.